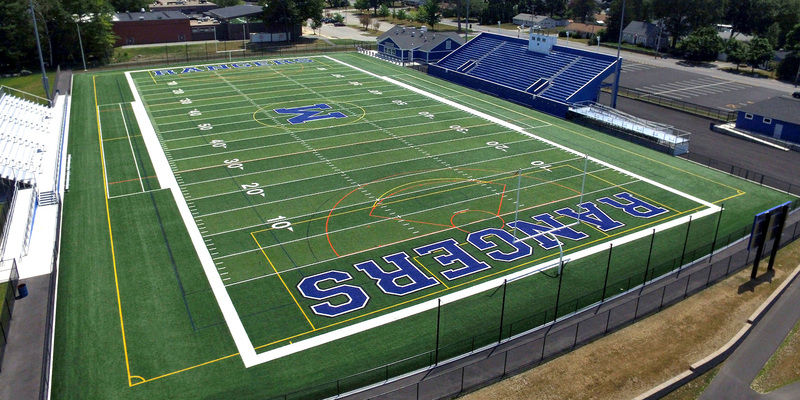 Huntress Sports provided full design, engineering and permitting services for the conversion of the natural grass field in Nicholson Stadium to synthetic turf. The project also included a new 750 seat visitor grandstand, a second turf field below the stadium, renovation of an existing natural grass field and reconstruction of the stadium parking lot and associated site improvements. 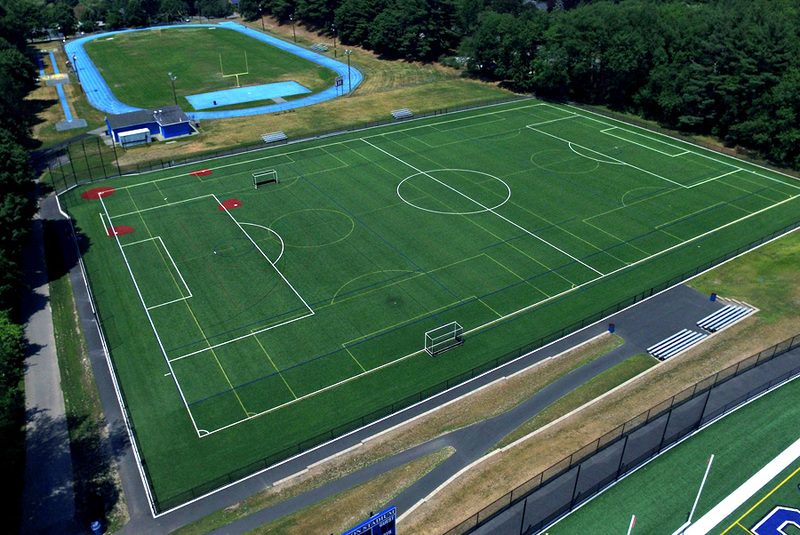 The second turf field is home to Methuen Varsity Softball, Soccer, Boys lacrosse and Youth Football. The design provided full handicapped accessibility to the WPA era stadium, surrounding fields, 400m track and parking lots. The overall project cost was approximately $2.3m and the project was successfully completed on time and within budget.